I never really realized how much I wrote things down… And furthermore, where did this unusual habit come from? I remember one day saying “Whatever it is, I’ve got to write my way to it,” not knowing at the time if it was figuratively or literally in that moment… Nevertheless, without being aware of the how, when, where or why, I continued to move on, writing as usual until this opportunity for becoming an author presented itself to me. 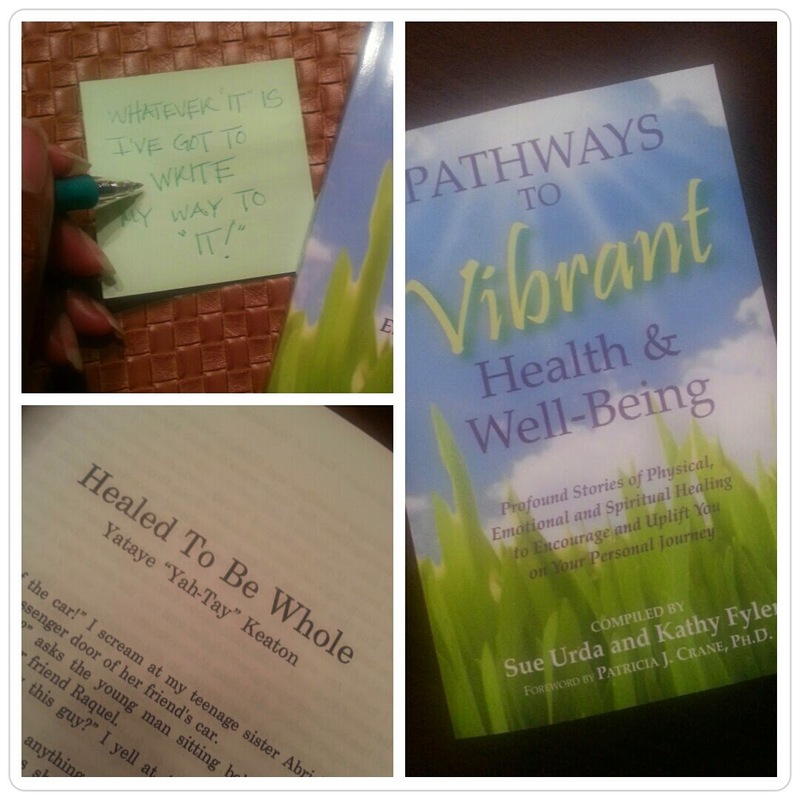 Out of the abundance of my heart, my mouth spoke: (Aha) Light bulb moment… Now haven written my story in this anthology book “Pathways To Vibrant Health & Well-Being,” it’s amazing how such a small insignificant habit (so I thought) would lead me to this place. WORDS HAVE POWER… So, consciously (deliberately/intentionally) use THE POWER OF YOUR WORDS to manifest the things you desire, thus exercising THE POWER OF THE SPOKEN WORD!